Hasheider Roofing and Siding specializes in custom metal fabrication using a CNC 16 gauge folding machine. 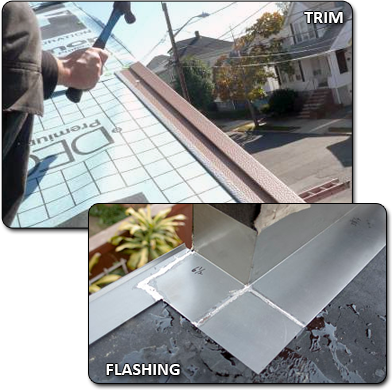 This allows us to create custom metal trim, flashings and more for any type of trade. Metal fabrication is the process of creating a metal object custom designed to your home. To begin, these raw materials need to be cut to the correct size. This is done with tools like a special band saw or with cutting torches. Metal colors can then be formed using dies. Tube bending machines and rolling machines are also used to bend and make round sections of metal. Parts are welded together, and then after cooling the machine or structure is usually sand blasted and painted. This final product is thoroughly inspected before it installed on a customers home.